What does the future hold for Muslim Community Leadership in America? Shaykh Khalil Abdur-Rashid provides a historical view of Islamic leadership in the African-American community and projects the new modalities and challenges that Muslim leadership face in the future. Khalil Abdur-Rashid: “New Paradigms of Muslim Community Leadership” from Harvard Islamic Studies on Vimeo. Shaykh Khalil received his BSW degree in social work from Georgia State University and has worked as a social worker investigating child abuse cases for the courts in the state of Georgia for several years before becoming a full-time Arabic language instructor for Georgia State University. He spent several years as a counselor for the Marriage and Counseling Center in Jonesboro, Georgia and has over 15 years’ experience teaching and giving workshops in various settings, such as in Montessori schools, public schools, and the universities. 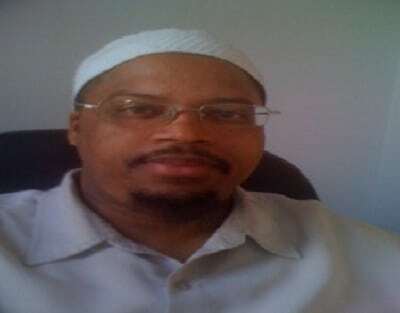 A native of Atlanta, Georgia, he completed a specialization program in Islamic Law at the Dar al-Mustafa Institute in Yemen. He then spent three and a half years in Istanbul, Turkey learning Turkish and completing his MA work in Islamic law at Marmara University. He also completed Islamic seminary training and received his doctorate in Islamic law from the Mirani Seminary in Turkey. Shaykh Khalil is currently a PhD student at Columbia University, specializing in Islamic Law and Middle Eastern Studies. Shaykh Khalil was recently named a Muslim Leader of Tomorrow by the American Society for Muslim Advancement. Currently, Shaykh Khalil serves as Imam and Executive Director of the historically Turkish mosque, Iqra Mosque in Brooklyn, New York.